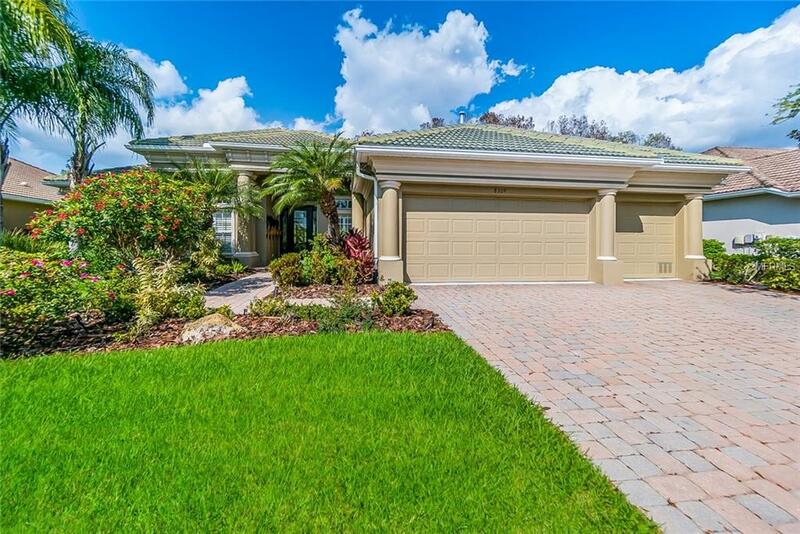 Luxury and private living in the gated Stoneybrook Golf Community. The interior of this home has a array of stunning features, including 12 foot ceilings, aquarium window, tray ceilings, triple pocket sliders to the lanai, plantation shutters throughout, built in speakers in lanai and great room, separate dining room and a great room floorplan that offers a terrific gathering place for friends and family! A cozy breakfast nook overlook the pool, spa and preserve. Double French doors lead you into the home office with custom build ins. The split bedrooms offer privacy for family and guests. The master retreat is on the ground floor with double tray ceiling and his and hers California walk-in-closets. Two other bedrooms and two bathrooms (including the pool bath) are on the ground floor. The 4th bedroom, bathroom and bonus room are located upstairs. Enjoy great privacy on lanai! Garage have built-in storage. Stoneybrook of Heritage Harbor is a gated, resort style golf community. Golf membership is not mandatory and can be purchased. Amenities include two community pools, a recreation center, fitness center, walking and biking trails, tennis courts, basketball, fenced dog park and clubhouse with restaurant. Close to I75 for a quick commute. East Manatee County is also known for its great schools and hospitals. CDD fee is included in tax bill.